'I wonder what you've seen and done, Harriet, over all those years?' asks Ellie. The Tortoise pokes her head a little and blinks one naughty eye. 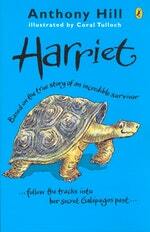 Hatched on an island in the Galapagos, Harriet enjoyed an enchanted life, as generations of tortoises had before her. Then someone took her away . . .
Harriet ended up in Queensland, where she attracted increasing crowds of visitors, all amazed at her great age. People believe she may have lived for 175 years – or more! She was famous as one of the oldest known living land animals. 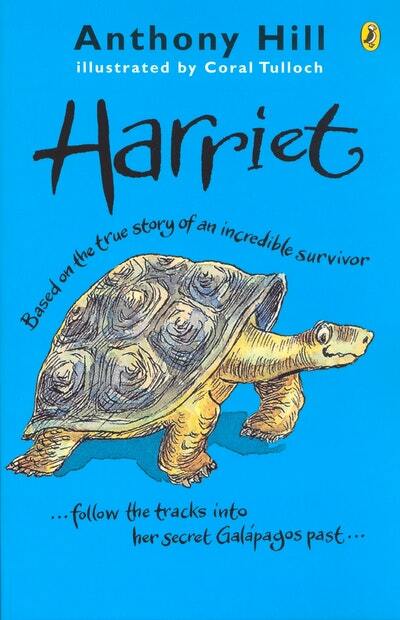 Meet Harriet and celebrate her unforgettable story. In this exciting and informative account, bestselling and award-winning author Anthony Hill recreates the life of Harriet from her earliest years and delves into the unsolved mystery of how she came to Australia. Wouldn't you like to know.That's my story. And she pulls her head in again. Love Harriet? Subscribe to Read More to find out about similar books.